How fast does it load at LOD 2 on a 680? That depends a lot on the FOV, stars, etc. Anywhere from 3 to 10 seconds up to 20 seconds to render the fine details in a complex scene. I also run a core i7 extreme cpu (Sandybridge E), overclocked, and 16 gigs of memory. Hugin may take about 10 seconds to create the panoramas. I'm impressed with SE and look forward to the enhancements. O.O Is that with LOD 2 on? Still though, since LOD 2 loads really slowly for me and the change is small, it's not really worth it for me to use LOD 2 very much. How is the change small? The difference between LOD 1 and LOD 2 is huge, much bigger than the difference between LOD 0 and LOD 1. But it does take a long time to load, especially if you don't have high end hardware, so I would agree that it's usually not worth bothering with. Beautiful blue terra with life with rings I came across recently. It just looks like not a real huge difference to be worth bothering with the long load times, or it might be that I'm comparing the difference with more distant terrain. With asteroids, it loads quickly since there isn't as much to load and if I don't move the camera on a planetary (or moon) surface, it's okay. I usually play on LOD2 or LOD1 if I want it to load faster. Depending on the planet LOD2 can load in under 10 seconds which makes it worth it. Don't you mean LOD 0 there? What I'm talking about is the time for it to fully load the terrain. Anyways, heres a few shots to stay on topic. A nebula that I thought looked like a crab or something from that particular angle. I really mean LOD2, it is what I use mostly. 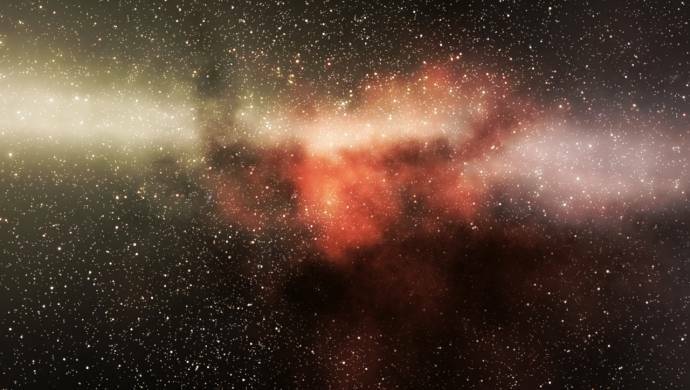 Also nice images that last image of the Nebula looks really nice. Now for something dark and slightly abstract. 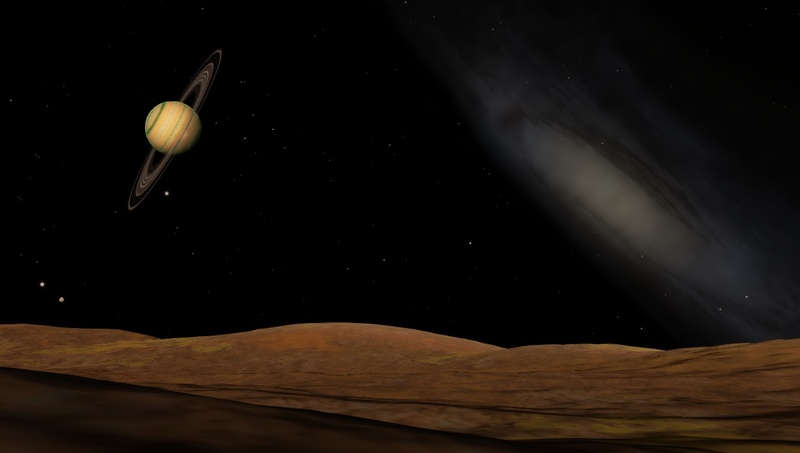 A snapshot from the surface of a shadowy world lit only by the feeble infrared glow of a brown dwarf. Black rings cross the dull band of the galaxy, dim and reddened by the dense atmosphere. 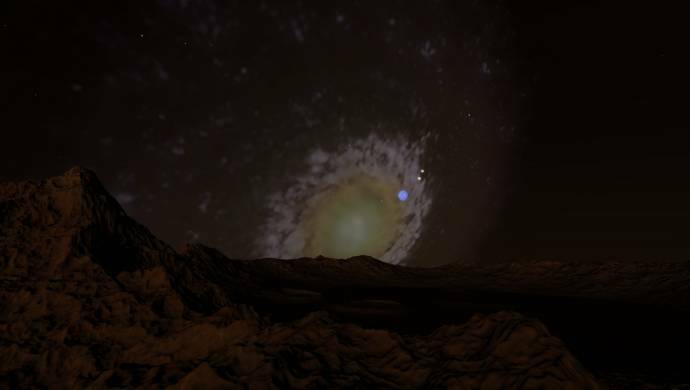 I know it's in space engine, but at the same time, is that really in space engine??? I've never seen tilted and jagged rocks like that before. Unless that's from FOV distortion. It's distortion. 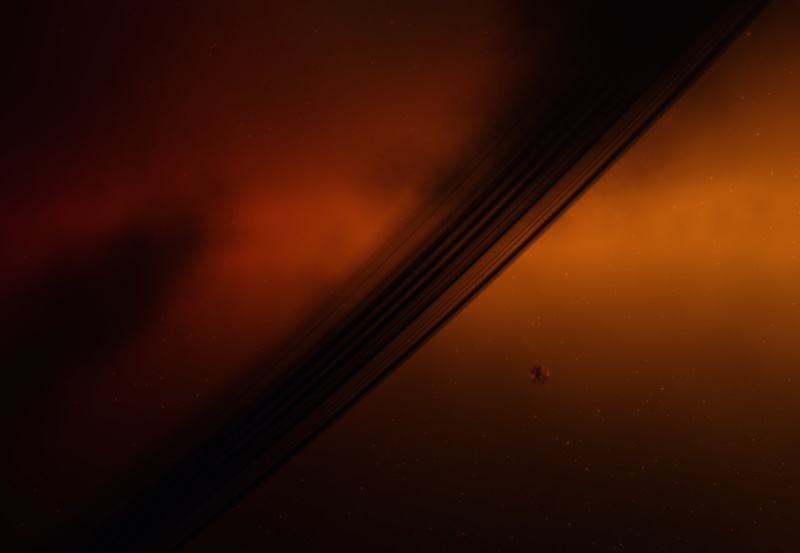 SpaceEngine is not currently capable of generating such features; all slopes in SE are less than 90°.